This is a fusion dish where Thai meets Indian. 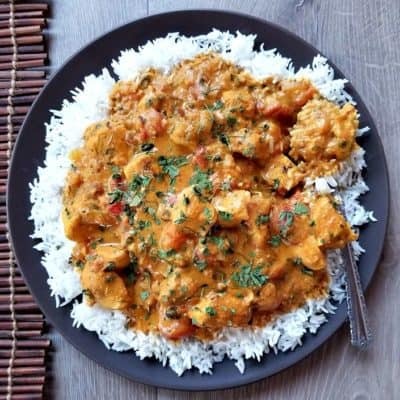 Satisfy your curry cravings tonight with this delicious and easy to make recipe. 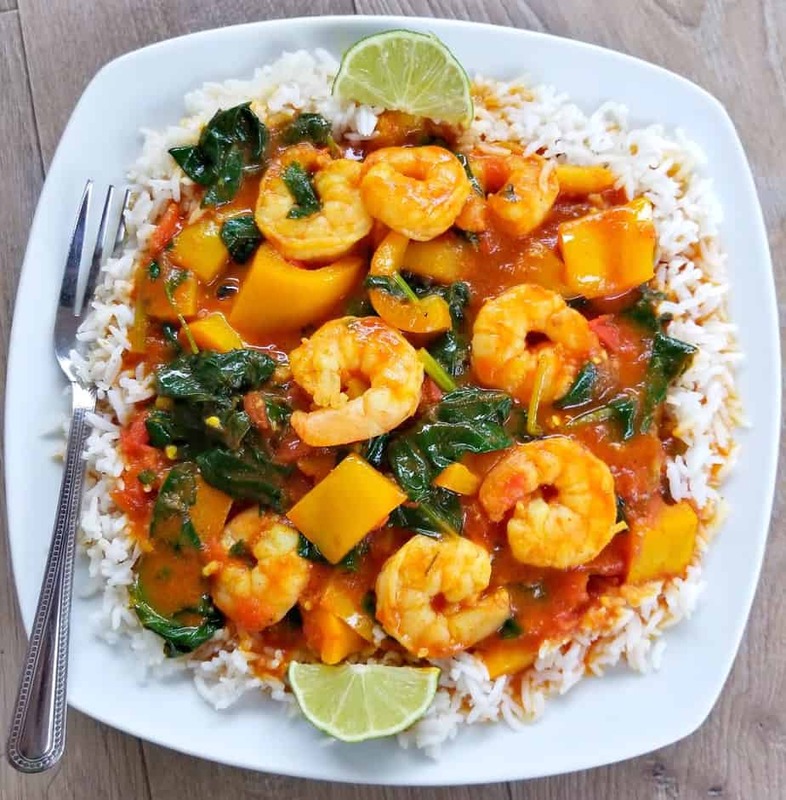 The shrimp is curried to perfection and has become one of our new households favorites. I would definitely call this dish a fusion dish because it has “Red Thai Curry” in it as well as some Indian spices. 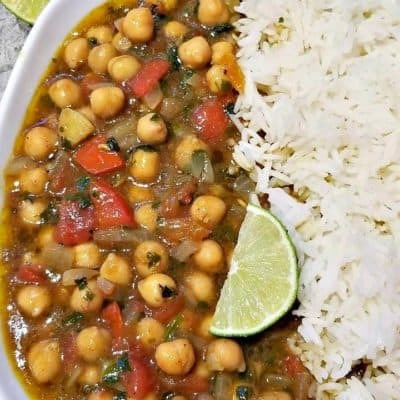 So if you like curry as much as me, then you are sure to love this recipe. We are infusing it also with salt and pepper, tomatoes and coconut milk that help to bring all those curry flavors alive. Keep in mind you will want to use a good quality coconut milk, one that is not to watery. When it comes to the tomatoes you can choose fresh or canned. However keep in mind canned tomatoes will give it more of a sweet taste and the fresh will give it more of a spicy taste. I used fresh this time, however either works so I will leave that up to you. 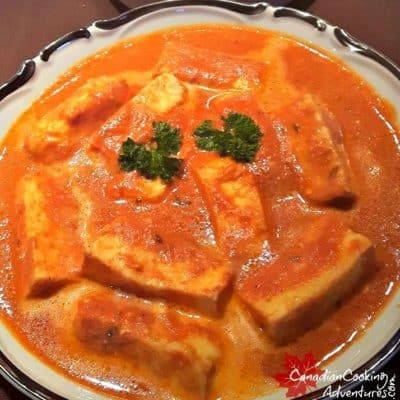 If you have never tried Red Thai Curry before, I encourage you to give it a try. 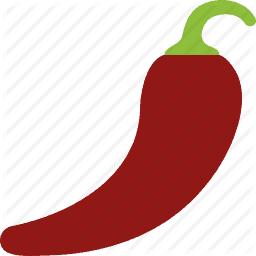 Red Thai Curry is just a bit milder than Green Thai Curry, however both taste similar. 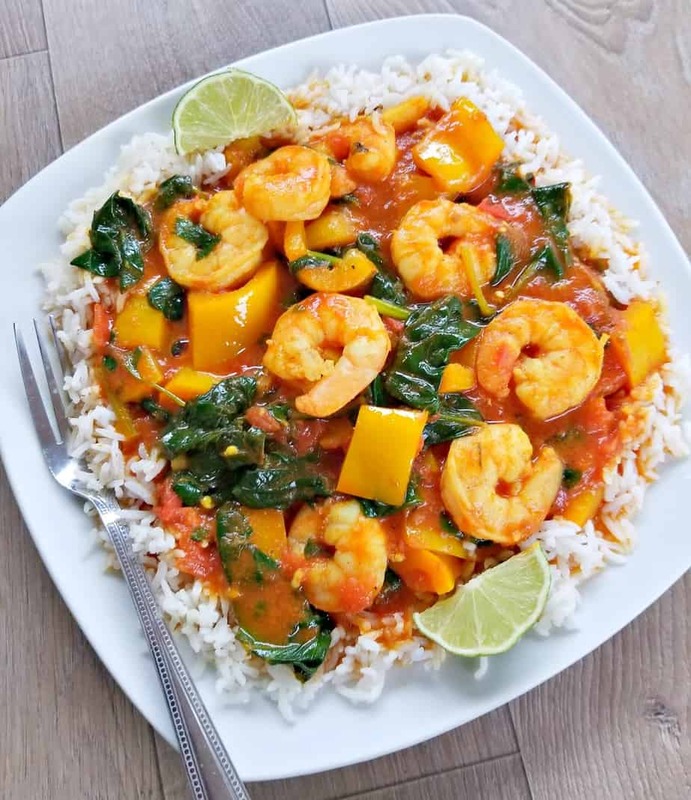 There are plenty different ways to make Thai curry, and that is because you can add just about any type of vegetable or meat protein to your dish. 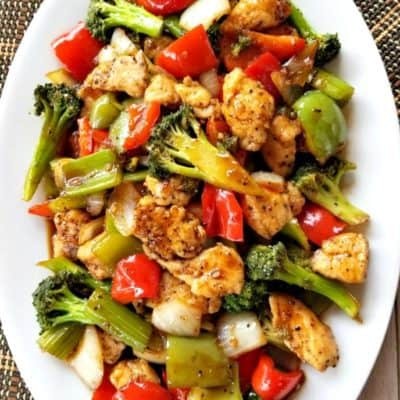 However the techniques are always the same and the main ingredients are always Coconut milk along with “Lemongrass”, “Galangal”, “Kaffir lime leaves” and Bird’s Eye Thai chilies. However for this dish we are using the paste which contains all the above Thai ingredients. 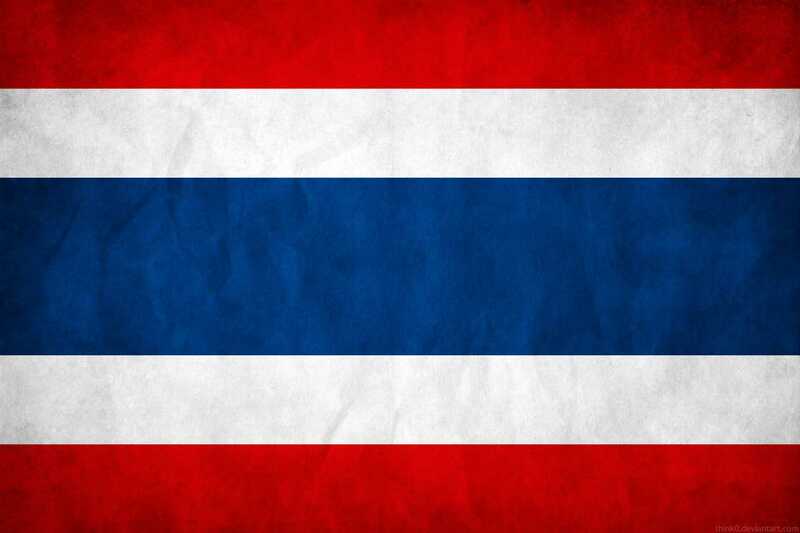 See the picture below of the “Red Thai Curry paste” we like to use. Notes: “Lemongrass”, “Galangal” and “Kaffir lime leaves” can be found in most Asian stores. 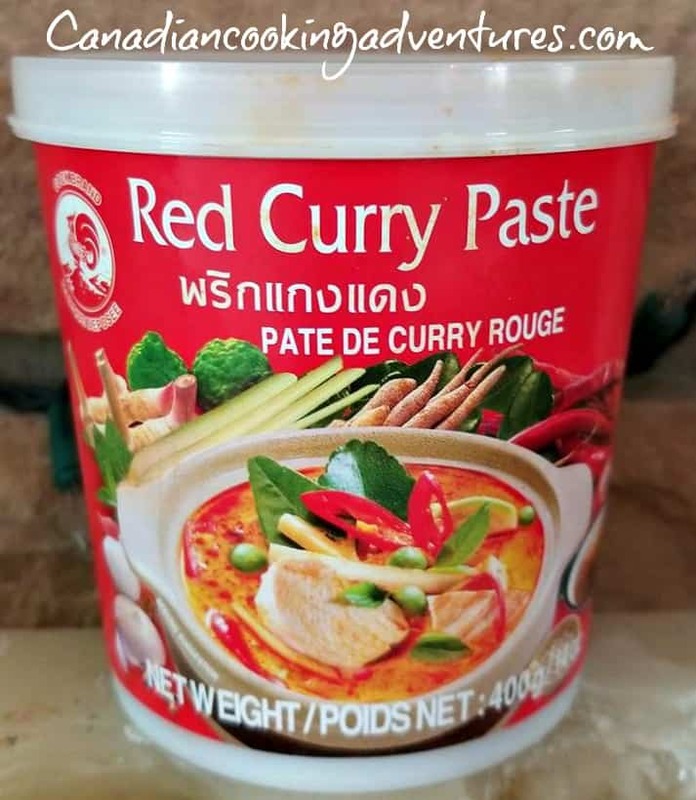 “Thai Red Curry Paste” can be found in most Supermarkets, Thai Red Curry paste has all the above ingredients in it needed to make this dish. 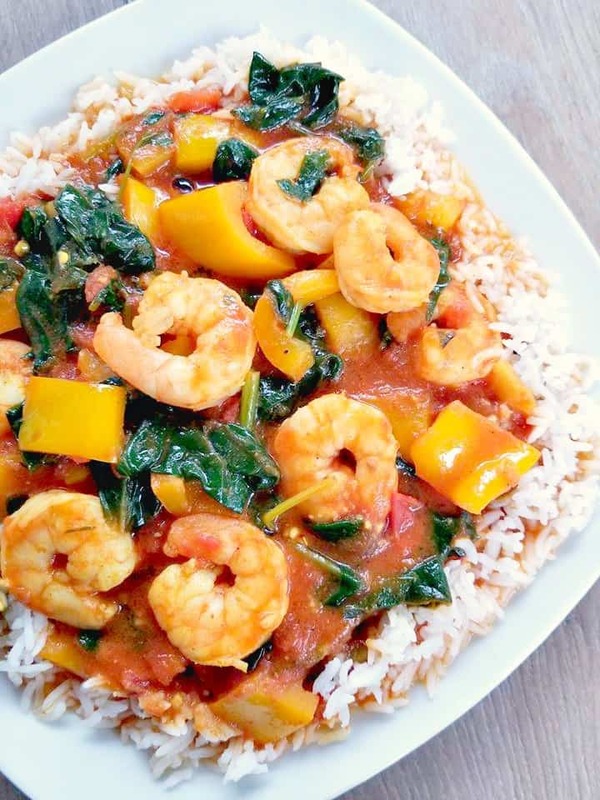 Start by washing the yellow peppers, spinach, tomatoes and then chop and set aside. Then in a small bowl season your shrimp with salt and pepper and set aside. Then on a chopping board, mince the garlic, ginger and set aside. 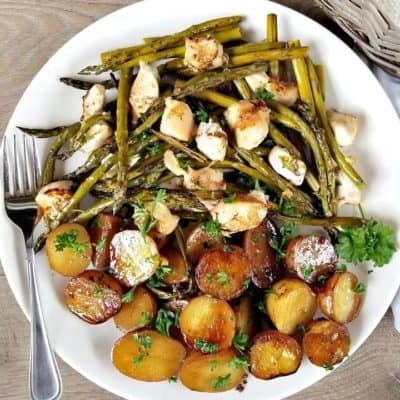 Next, in a large pot add 1 tbsp of coconut oil and fry the garlic and ginger one min till fragrant, remove and set aside. In the same large pot add 1 tbsp of coconut oil along with 2 tbsp of the "“RED THAI CURRY PASTE”" saute for 2 minutes till fragrant. 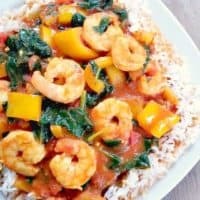 Pour in the coconut milk along with the chopped yellow peppers, spinach, tomatoes and spices. Add back in your ginger/garlic cook for another 15 minutes all together on medium heat. Lastly add in the shrimp simmer just till the shrimp turns pink, do not overcook the shrimp. Turn off the heat and let it sit for 5 minutes before adding the juice of a whole lime into the pot. Taste to see if more salt is needed, add a pinch at a time. 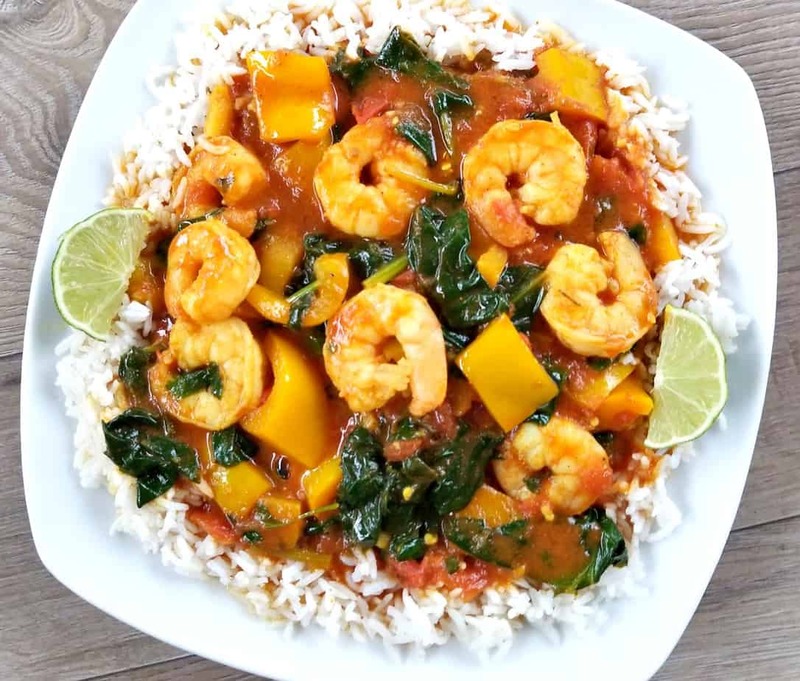 Serve over top a plate of jasmine rice. Enjoy!